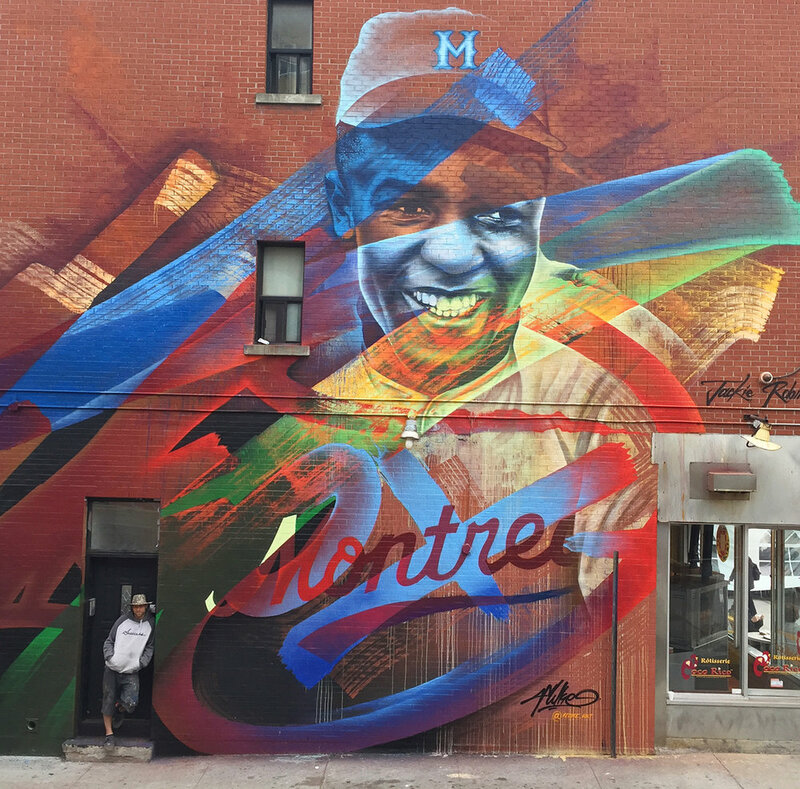 Fluke's art is a reflection of his journey as a Montreal street artist. 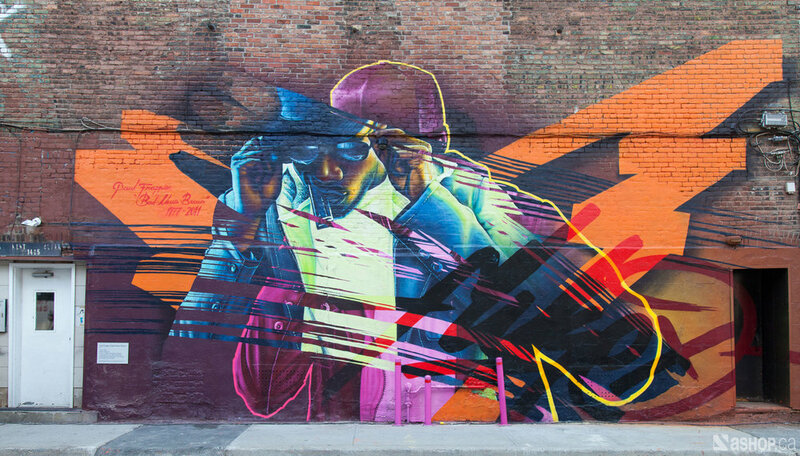 Much of his work incorporates subtle hints of textures, patterns, calligraphy, and iconography found in his earlier graffiti art dating back to 1995. 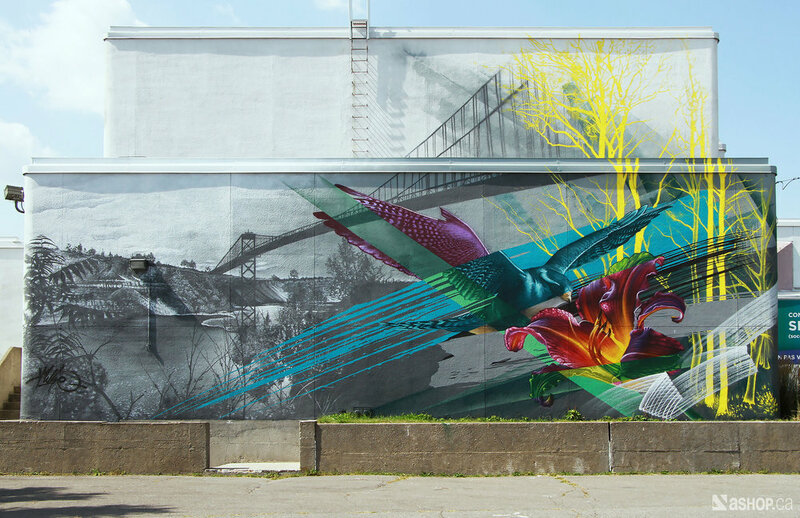 His unique approach to merging street art and contemporary imagery, as well as his unconventional methods and techniques, is what places him as a Canadian frontrunner on the international street art scene. Today, Fluke works closely with photographers to create worlds that later become his paintings. 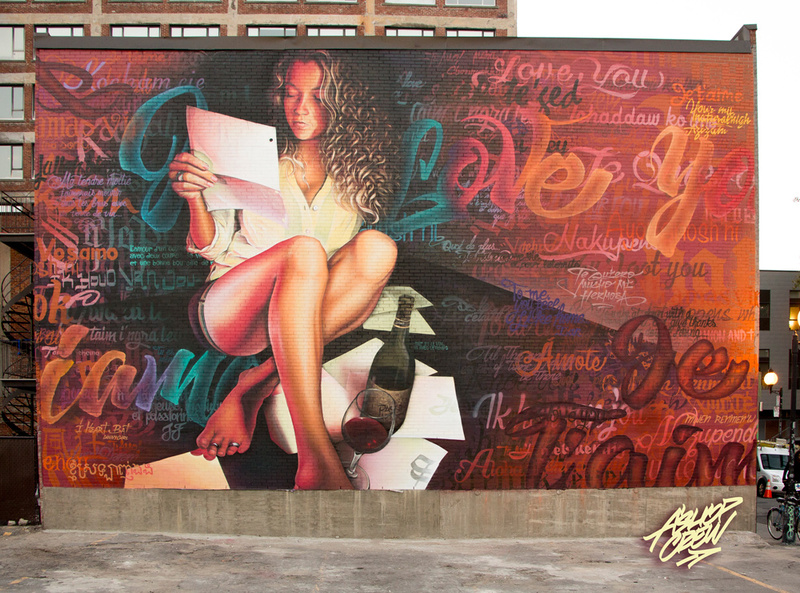 The “ribbons” and giant brush strokes found in his work are a nod to the graffiti letters and textures that tie him to his roots as an artist. 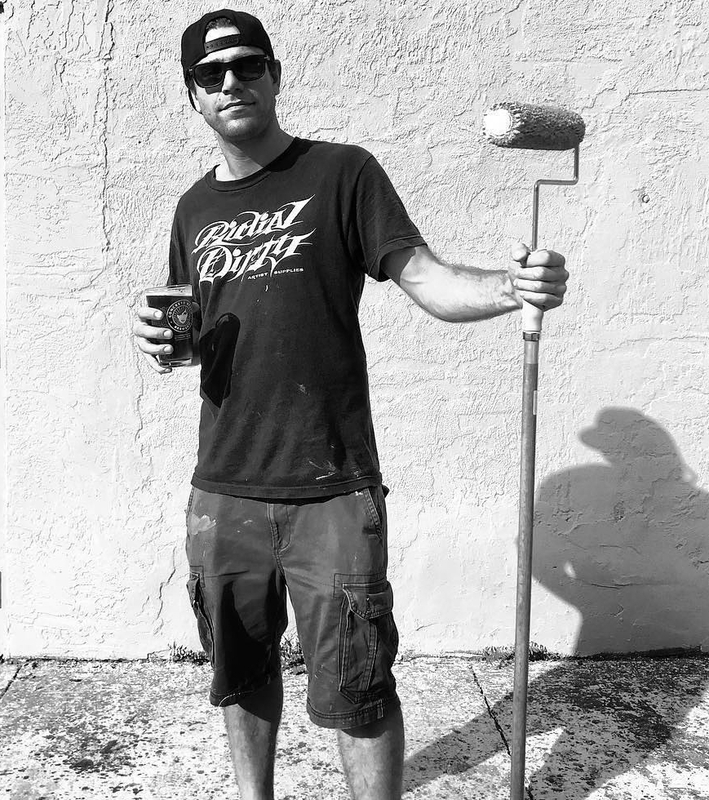 In 2009, he formed the Ashop Crew with fellow artists and started Ashop Productions, one of the most important agencies in Canada specializing in street art. 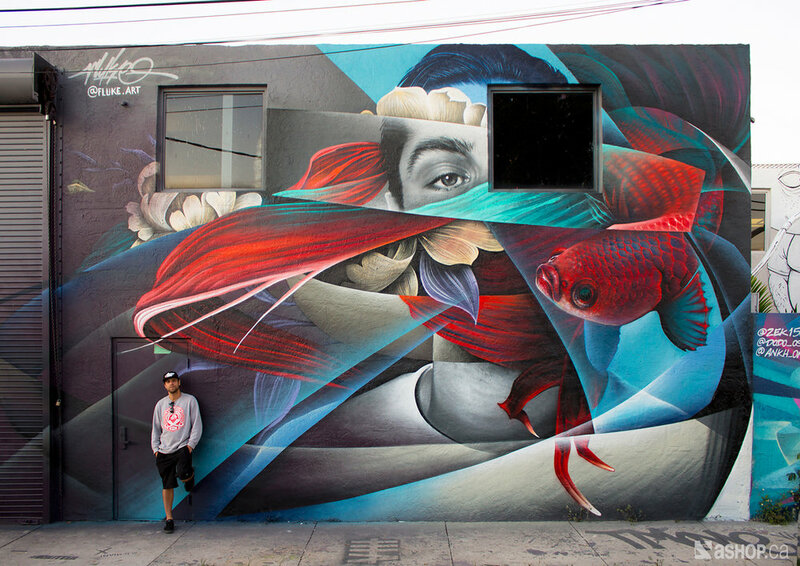 His involvement in the street art subculture and the success he has gained with his collective has kept him on the radar of art lovers around the world, with pieces being admired in countries such as Canada, France, New Zealand and the United States.